Alliance Rubber Brites 4-Way Bands are an organizational and packing tool with a wide variety of uses. These durable and reusable colored elastic bands are made of one continuous piece of rubber that easily stretches from 8.5" to 24". They are a great tool to declutter and organize your business, home office, kitchen, classroom or craft room. 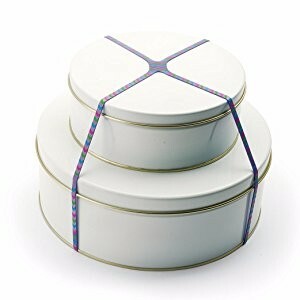 These non-latex colored rubber bands are an ideal choice for use in latex-free homes or businesses, and are easy to stretch and secure. 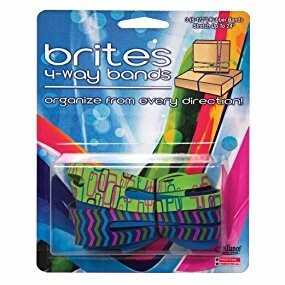 Brites 4-Way Bands come in three bright, decorative colors. 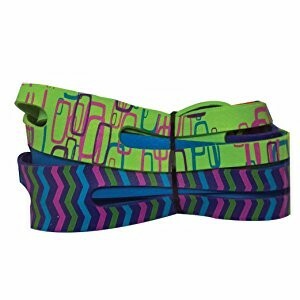 They're an attractive choice for visible home and office organization or for color-coding your files. Use 4-Way Bands to secure boxes in preparation for transport or shipping. 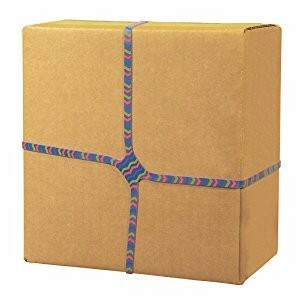 These colored rubber bands help to avoid damage and ensure your package arrives safely. Alliance Rubber Company is a family-owned business with humble beginnings that has grown into a thriving American success story. Since 1923, Alliance Rubber has proudly produced rubber bands for use in the home and workplace. Continuing to manufacture its products in the USA, enables Alliance to provide high quality products, fast service and fresh stock that is built to last. Alliance Rubber, a women owned company, manufactures bands that ‘Hold Your World Together.